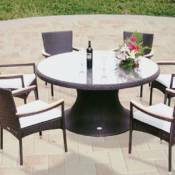 The 60 Inch Helena Table with Stackable Helena Chairs has an elegant all-weather wicker table with tempered glass inlaid. The chairs are made to be durable and have solid teak arm rests. They are also stackable, which allows for quick and easy storage. 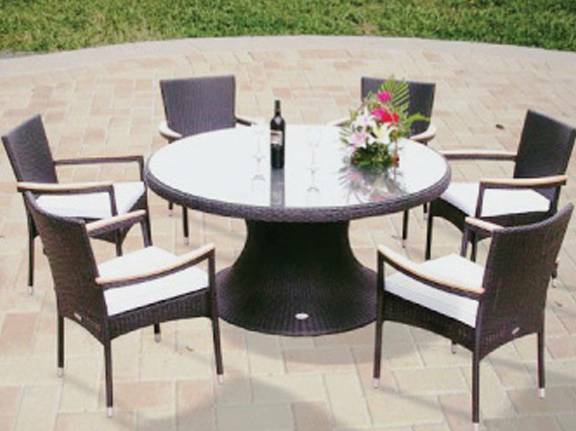 This will make a beautiful addition to your patio or dining area.